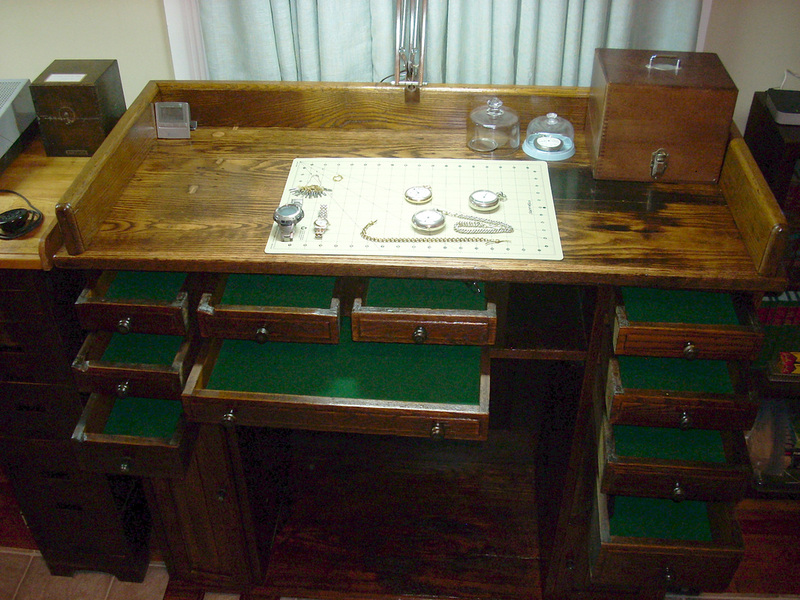 This is an oak workbench that came out of a jewelry store in Huntington, WV and probably dates to the turn of the century or even before. It was in poor condition when I found it and was being held together mostly by nails and wallboard screws. 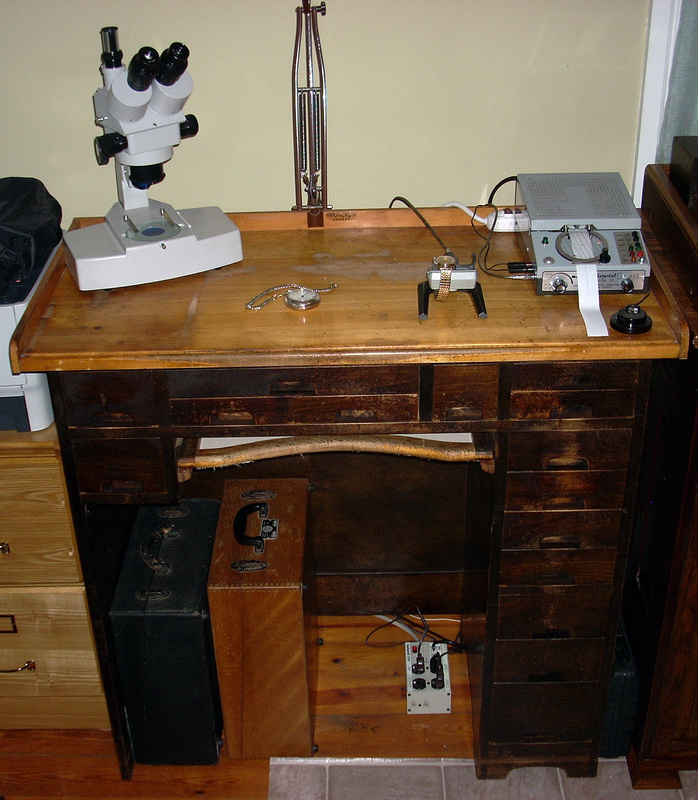 I disassembled and rebuilt it using wood screws, dowels and hide glue like original. Behind the large door on the left there originally was a foot wheel for operating a watchmakers lathe, but it had been removed and a panel inserted to close up the open side wall. The catch tray frame is also missing so I'll have to make a new one when I have time. The sides and back are nicely paneled. 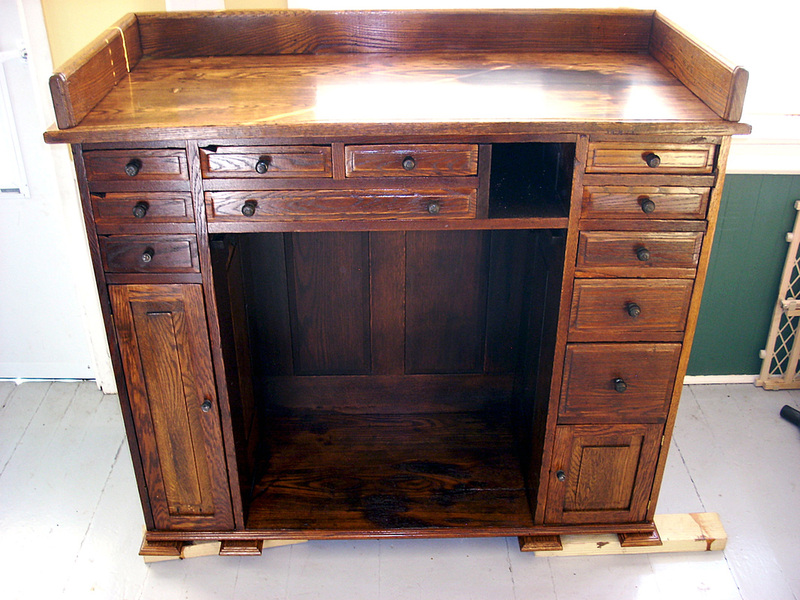 The original finish on the sides and drawers was preserved by rubbing it down with steel wool and then sealing with amber shellac. The top had to be sanded and was refinished with a urethane varnish to provide a tough work surface. The top did not have a groove in front to keep small parts from rolling off so one was cut in with a router. Originally the bench had rollers on the bottom but these had been removed long ago. I added the oak feet to the bottom in place of the rollers. There is also some kind of a black stain on part of the bench top that wouldn't come out. The inside of most of the drawers was pretty nasty. I replaced the worst of the drawer bottoms and then sanded and shellacked the insides and lined the drawers with felt. Now they provide a nice clean space for tools and parts. The is my other bench and is an antique J.H. Rosberg watchmakers bench. It's a nice sturdy bench and is only missing the foot rest. I think the bench dates from the thirties or forties and it was acquired from an estate. 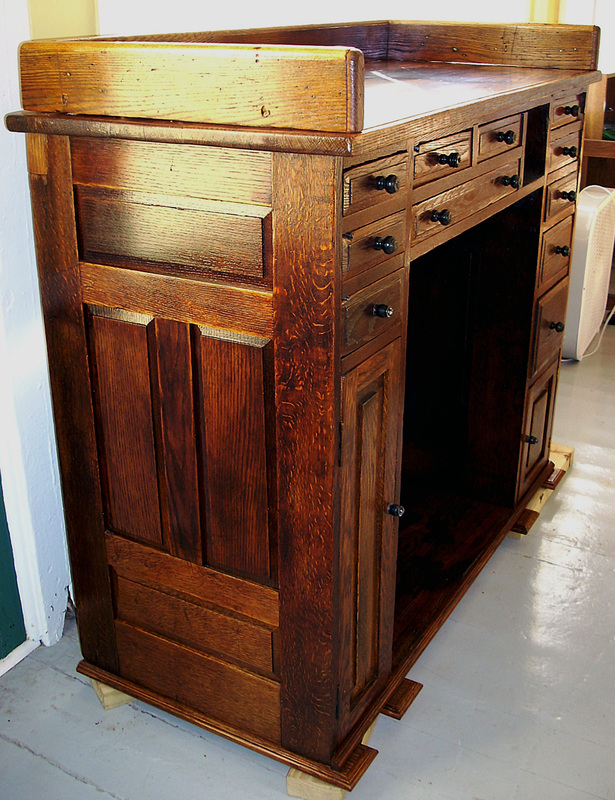 It has 15 drawers and is made from birch according to an old 1930's catalog description. It was really dirty and mildewed so I scrubbed it down inside and out and gave it a bath in lemon oil. I also replaced the cloth apron in the catch tray.